Plans for a new City Council-led study of the sweetened beverage tax drew criticism as a veiled effort to increase political pressure on legislators in an election year and kill the tax. City Council approved a resolution Thursday to study the economic impact of the 1.5-cent-per-ounce tax on sweetened beverages and hold hearings on the completed study. The resolution passed on a voice vote but ignited a showing of public animosity from a handful of City Council members who voted against it. City Councilwoman María Quiñones-Sánchez, the main sponsor of the resolution and Democrat running for re-election, expected the study to take 60 to 90 days. She had no cost estimates and did not anticipate the study to be completed before the May 21 primary. The City Council Committee on Appropriations, which she heads, would hold the hearings when the study is complete. “If this revenue source is going to be a permanent fixture as part of our portfolio, then we have a responsibility to review any unintended consequences and make informed decisions about how it’s applied in the future,” said Quiñones-Sánchez, a long-time opponent of the tax. Gym, a Democrat also running for re-election, said the resolution was intended to build opposition to the sweetened beverage tax, which pays for universal pre-k, community schools, and the renovation of parks, libraries and other public spaces. “So I am going to vote no against a duplicative resolution clearly drafted and peddled by the Beverage Association as a companion to a pre-K-killing legislation,” Gym said, referring to a bill Quiñones-Sánchez had introduced last week. Councilwoman Cherelle Parker, another Democrat running for re-election, questioned the timing of the resolution, coming two months before the primary. Parker said the resolution was being used as “political weaponry” against supporters of the soda tax on City Council, who were experiencing an “insurmountable amount of heat” over the tax. The Kenney administration welcomed the independent study. “A thoughtful and impartial analysis would complement ongoing studies of the impact of the tax, and is particularly appropriate in light of the unrelenting stream of disinformation spread by the beverage industry,” said Kenney spokesman Mike Dunn in an email. Anthony Campisi, a spokesman for the beverage industry, said in an email that “we don’t need a study to know that this tax is bad policy.” He reiterated the industry’s call to repeal the tax, saying it costs jobs. City Council approved the sweetened beverage tax by a 13-4 vote in 2016. 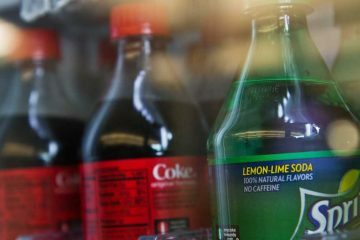 The soda tax, which remains Mayor Jim Kenney’s signature achievement, went into effect in 2017. The study, Quiñones-Sánchez said, will also influence a bill she proposed to adjust the tax starting in fiscal year 2020. While that bill does not provide any specifics about whether it proposes to reduce the tax or phase it out completely, Quiñones-Sánchez said it sends a message to Kenney that “there has to be modifications” to the tax. Quiñones-Sánchez said the city ought to find more stable revenues to support the programs funded by the beverage tax. 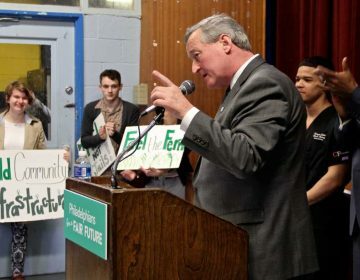 However, the Kenney administration has maintained that without the soda tax, the programs it funds will go away. 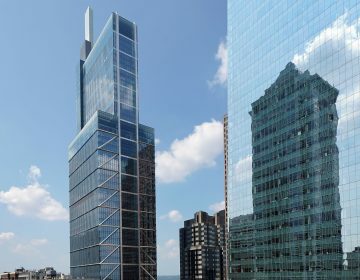 The city raised $137 million from the tax between 2017 and the first fiscal quarter of 2019, according to a December report from the City Controller’s Office. Kenney’s proposed budget anticipates $76.6 million in revenue from the tax next year. The administration originally projected the tax would raise $91 million annually and expected revenues to decrease over time. The future of the soda tax has become a top issue in the upcoming primary elections, when the mayor’s office and all 17 seats on City Council are on the ballot, among other offices. Alan Butkovitz, the former City Controller running against Kenney in the Democratic primary for mayor, has come out against the tax, along with some candidates running for City Council. The Black Clergy of Philadelphia and Vicinity also has called for a repeal of the tax. At-large Councilman Allan Domb said Thursday that the tax was driving people to purchase sweetened beverages outside the city. Any study of the tax, he said, should investigate whether reducing the rate could lead to more sales in Philadelphia but similar revenues. “At least I’d rather have the business in our city, I’d rather have the jobs in our city, and I’d rather have the taxes in our city,” said Domb, a Democrat running for re-election. Domb was the main sponsor of a resolution in December calling for public hearings on the soda tax, which have yet to be scheduled. Councilwoman Cindy Bass, a Democrat seeking re-election, said the sweetened beverage tax sends a “mixed message” to low-income residents. 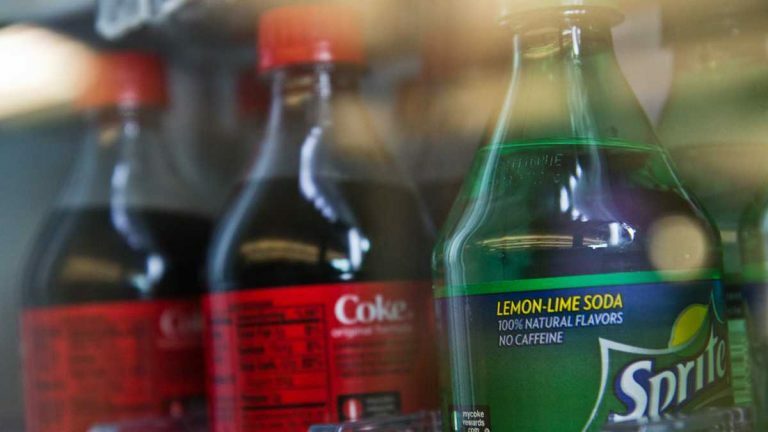 A bill introduced by City Councilwoman María Quiñones-Sánchez at a City Council meeting on Thursday would gradually phase out a portion of the tax on sweetened beverages.